When I got to school yesterday morning, the sidewalk in front of my classroom was a wreck. There were stones and soil and leaves all over the place. I knew exactly who had done it: the chickens! There are some neighborhood chickens who sometimes come around the yard at school. Mostly they stay away from my classroom because there are always people around, but sometime they venture near and scratch and dig for bugs. And make the sidewalk all messy. Dang it! I swept it all off before school started. 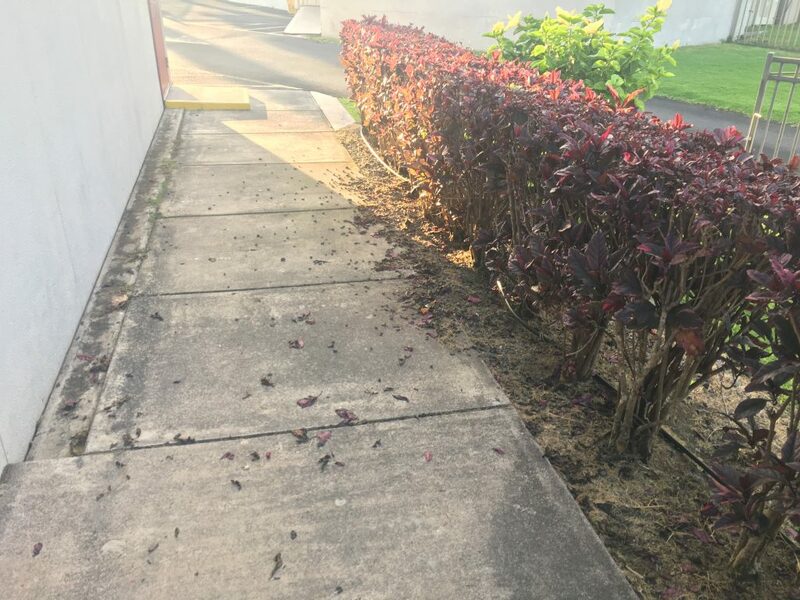 5 Responses to Stupid Messy Sidewalk! Those jerks. You should take away their video game privileges. That’ll show ’em. I think you should buy some fried chicken and eat it in front of them. Let them know who’s higher on the food chain. You guys crack me up. Much funnier than my suggestion to purchase little tiny brooms or rakes to leave for them to use when they’re done for the day. Yup…MUCH funnier.